Hello! I'm Tom Kerrigan, developer of tChess. I'm an independent software developer who lives in Seattle, WA. I started writing chess software as a hobby when I was in high school. My engine, Stobor, competed in two world championship tournaments, in 1995 and 1997. Stobor has been the highest-rated bullet chess player on the Internet Chess Club, and has defeated many masters, International Masters, and Grandmasters. tChess uses Stobor for its engine. 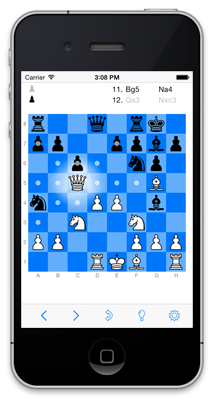 To contact me, please e-mail tchessgame@gmail.com.